Some 20 flood warnings have been issued for Paris and surrounding areas, with French authorities putting residents and businesses along the capital’s River Seine on high alert over rising floodwaters. The water level is already nearly on a par with the floods of 2016, when the Seine burst its banks resulting in the deaths of four people and the evacuation of 20,000 others. Images from Paris show floodwaters creeping up around the Pont de Grenelle and covering the pedestrian platform of the city’s Statue of Liberty. France has experienced exceptional levels of rainfall this January. 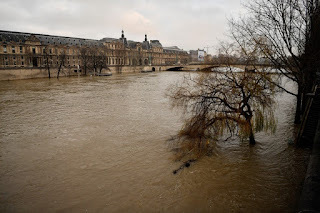 A flood warning from the country’s Directorate of the Environment and Energy (DRIEE) forecasts that the Seine, the 770-kilometer long river which runs through the French capital, could reach up to 6 meters in height by Sunday.